So fellow travelers, I have downloaded the five hundred plus photos from our west coast adventure. I “should” be completing the blog series from my journal notes. Instead I find myself weaving a different thread of writing this morning. And I am ok with this. One of my Farm Friends, as I call the fabulous souls I have met through the Bedlam Farm creative group, wrote an inspiring piece about reconnecting with her creative spirit. Lesleigh Ann Schafer’s blog is an inspiring example of what Warriors for the Light create when they refuse to give in to darkness. And as so often happens, her post generated a creative ripple and this Haiku was born. 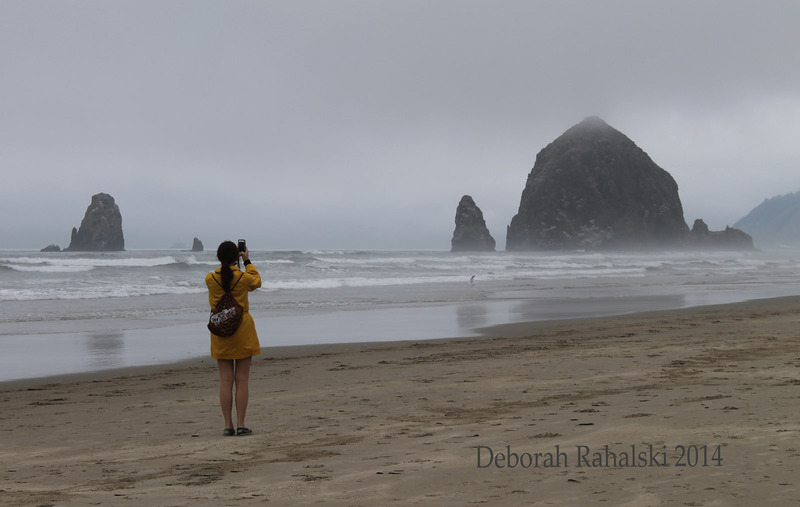 Photo note: My amazing daughter Emma capturing a moment at Cannon Beach, Oregon, July 2014. So fellow travelers, we all need safe havens, spaces of respite where we retreat, knowing what we find there will soothe, uplift and even strength our spirits to continue on this journey. I am grateful to have the Bedlam Farm Creative group page as an online haven for creativity and encouragement. A visit to “The Farm,” as many of my fellow members call it, is sure to bring inspiration, smiles and yes tears of both joy and healing. I am in awe of the members who write with focus, insight and even humor about the challenges they face from caring for aging parents, coping with cancer, dealing with rehab from addiction and inevitably experiencing the death of loved ones. The ability to find positive elements in the darkest of times is perhaps the greatest form of creativity. Finding and encouraging Light is what life on “The Farm” is all about. A recent post from a new contributor is an example of the ripple effect which often results from this process. She wrote : “There are times when my animals lift my spirits so much more than the humans around me.” She went on to share how the animals she and her husband loved were helping her cope with his recent death. 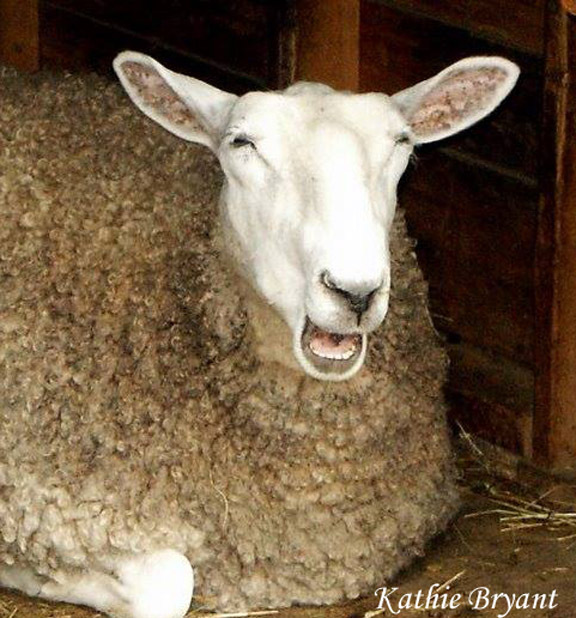 She shared a picture of one of their sheep, who she said seems to be laughing at their antics to contain her. As I read the comments welcoming her contribution, enjoying the wonderful photo of the laughing sheep and supporting her journey to heal, not once was an obligatory “sorry for your loss,” deemed necessary. There are deeper ways to connect with one another in times of sorrow, ways which expand on the hope expressed in her post. 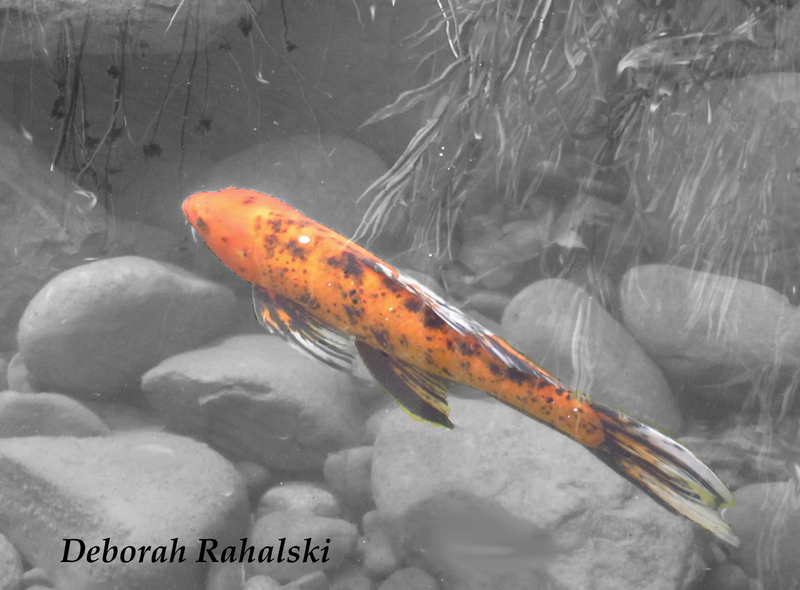 For me, it created a haiku, which I offer here along with her original photo ( reprinted with permission). Another ripple of light in the sea of life. So, fellow travelers, for the past two weeks I have been awake in an amazing dream called Portland. During this period I only had access to media through my phone. I kept notes by journaling and posting phone shots on my Facebook Wall. For the next few days, in between laundry, a mountainous backlog of mail and reclaiming the garden and pond from weeds and algae respectively, I will be sorting through over 500 camera shots and writing about the trip. For now, I am left with the haunting feeling something profoundly life changing has happened. True to a Japanese book, let me start at the other end. Photo note: taken with my phone camera, edited a bit in Photoshop to reduce the linear effect of the tent’s screen top and highlight the glow of the rising sun. So, fellow travelers, another theme running through the Bedlam Creative Group Page is called Warriors for Light. Our mentor, Jon Katz refers to his process of photography as “chasing the light.” In support of Jon during his recent bypass surgery, we followed the lead of photographer Deborah Glessner by posting images under the Warriors for Light theme. Even a fractional ray of light illumines the darkness and with the power of Light these images created, fear never stood a chance. Thankfully, Jon is home healing ( collective exhale of relief .) Naturally, because writing is an essential part of his healing process, he has begun journaling on his blog about his experience in a series called Tell Tale Heart. It is powerful reading, not (no apologies) for the faint of heart, but full of the determination which will get him and Maria through the long process of recovery. Meanwhile, it is clear this journey has drawn our group closer, energized our creative spirit. The “good stuff” gets better every day. One of Jon’s restrictions prohibits him from carrying his camera; he cannot lift anything heavier than five pounds. 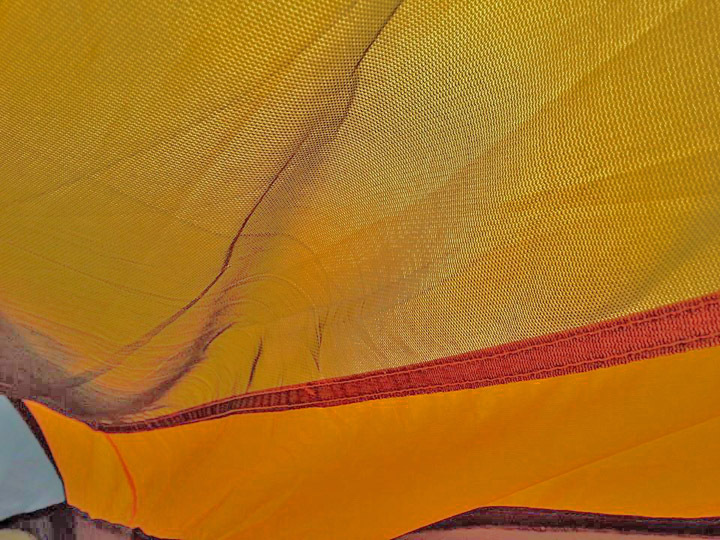 His hospital photos, taken with his IPhone proved no restriction can prevent him from continuing to Chase the Light. Still, many of us have resolved to keep our own cameras close at hand as we carry forward his inspiration. The “ripples” reach out again. So, when this vision greeting me on awakening in my parents’ guest room this morning, I grabbed my camera. 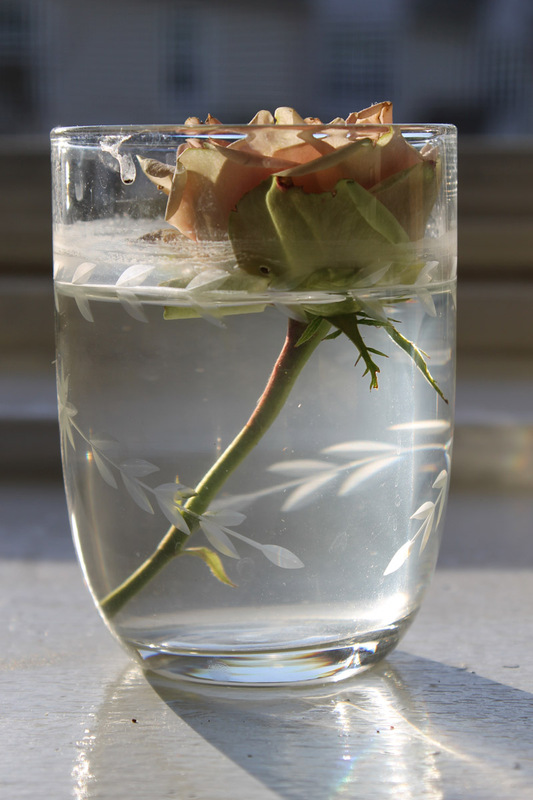 The rose reminds me of the indomitable spirit of this Bedlam Creative Family keeping our heads above water, uplifted by the Light we send each other in times of challenge . After getting the image I wanted, mindful of a lesson from one of Jon’s Open House posts , I sat for a few minutes to take in the pure beauty of the experience. Light like this is a blessing and even Warriors need to rest from time to time. Photo notes: Other than sizing for posting here the shot is SOC.